At the Hoar Park bikers' gathering this morning, talk got round to a book that one of us was reading - the character, George Hylands, used to work at Elliott's before and after the war. I have looked but have not had any luck in finding a picture of the garage. Can anyone help please ? 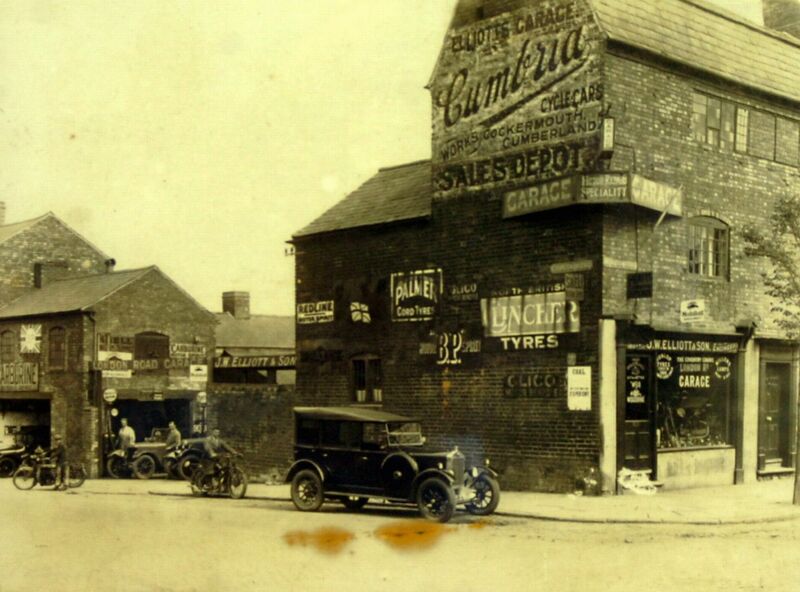 Elliott's was at the top of Gulson Road where it met London Road next door to The Plough Public House, Joe Elliott the current owner of the car accessory store just below the original site is the original owners son . He may be the source of photographs. I know all that Brian It's the pictures I would like to see. V.
They have a FaceBook page here. If you are a member of FB you could send them a message and ask if they have any photos of the period you are looking for. Not the greatest of images but best I could see from Britain from Above - 1939 Gulson Road and environs. As a slight aside I always used to moan about how the Ring Road strangled Whitefriars, however as can been seen here - it's been built around for quite some time! Hi Matchle55 It's amazing what you can do with Google Earth these days - even from the other side of the planet! Do these help? The images are dated March 2017. Thank you gents for the pictures, I prefer yours though Cliff, it's brought back a few memories and the building has a bit of character to it. An old advert for Elliott's here! Typical. An absolute failure by successive governments (both Labourite and Tory-ite) to deal with the real problem: an out of control expanding population, a policy of unlimited free procreation at the expense of taxpayers who sensibly elect to limit the size of their families, other useless government departments e.g. a border control agency that clearly can't control its borders - an admission by both Blair and Cameron idiots that they haven't got the foggiest how many illegal immigrants are in our country - and a housing policy under which way below half of the dwellings needed are actually being built. So industry, commercial organisations and factories are demolished to be replaced by blocks of flats and maisonettes. Where will it all end? To quote John Prescott (when slagging off the Tories): "It's an absolewt disgrace!". "Joe's back in business - Elliott returns" (Coventry Telegraph, Dec 2013). The owners of Elliott's went bust in 2010 and successive owns struggled until Joe came back in 2013. Joe started working for the company in 1958 which would make him at least in his late 70's. I know of a couple of small businesses that have been successful in a small way, but closed when the owner wanted to retire and couldn't find anybody to take it over. Yell.com list about 30 "Car Accessories" companies in Coventry so the demand is still there, but maybe an oversupply. Looking at their website Elliott's also sold cycle parts and accessories, but they never came up on my searches for cycle shops in Coventry so they never got my custom. At least it will be homes and not student accommodation that will be constructed on the site. Peter.